"Rich, ripe, intense and complex nose. Generous, full, concentrated palate with rich fruit, vanilla and spices." 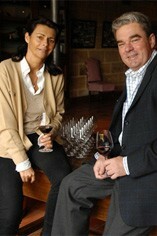 Pessac & Graves Tasting Panel - Highly Recommended 4/5 Stars- Decanter Dec 08 Domaine de Chevalier is one of the few Graves estates to produce both first class reds and whites. The property was purchased by the Ricard family in 1865 and remained in their hands until it was bought by the Bernard distilling company in 1983. I fell in love with this, first in barrel then in bottle. The best wines of 2005 show an irrepressible energy and, as soon as the aromatics of the Chevalier hit you, you can feel the vigour in the rich, intoxicating black fruit and the mineral, gravelly overtones that only great Graves can offer. The seemingly endless finish and perfect harmony of this wine, combined with the firm yet supple tannins, immensely concentrated fruit and life-giving acidity look set to make this a legendary Domaine de Chevalier. 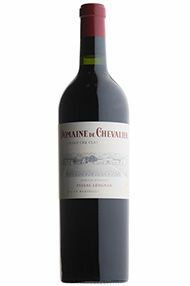 The Wine Advocate - A glorious wine from Domaine de Chevalier, this 2005 reveals notes of graphite, subtle charcoal, blackberry and blackcurrant fruit, a medium to full-bodied mouthfeel, silky tannins, and a long, multi-dimensional finish. This is a killer effort from the Bernard family, who own this famous terroir in Pessac-Lognan. Drink it over the next 20-30 years. Parker - Perhaps the finest wine made at this estate in many years (no doubt due to the influence of wine consulting guru Stephane Derenoncourt), the 2005 is a blend of 65% Cab Sauvignon and the rest primarily Merlot with tiny portions of Cab Franc and Petit Verdot. A classic Graves bouquet of charcoal, graphite, creosote, smoked herbs, sweet black cherries, and spice box. The wine is elegant on the attack, but fills out beautifully with a multilayered, rich mouthfeel, silky tannins, and a plush, opulent finish. This brilliant claret may turn out to be even better than my score suggests.